Turn HPGL to TIFF raster images online in a few seconds! 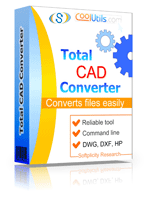 Run the HPGL to TIFF Online Converter or buy the batch Tool for more! Description HPGL is a language, whose elements form strings, which are directed to a printer and command it to draw linear (not dotted) objects. HPGL files are appreciated for compact size and easy rendering. Each HPGL instruction is represented as a code consisting of two letters and one or several numbers. As a rule, HPGLs contain sets of commands. To name a few, IN launches the drawing operation, CI25 stands for a circle (radius 25 mm); PU10,70 gets the pen up and to the point, which has coordinates 10, 70. There are several utilities out there working on different OSs, which you can use to open these files.